The Yellow Jaguars, originally uploaded by Eric Jeschke. A cliched pose, I know, but I just couldn’t help it. 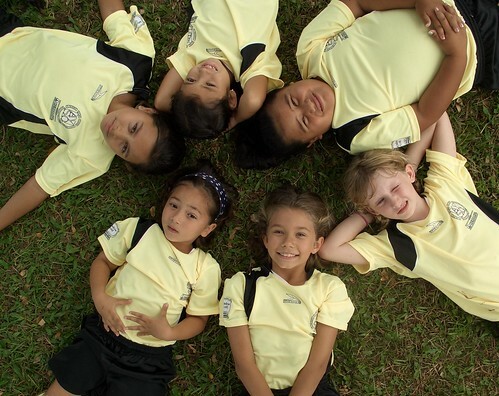 The looking up, circled heads shot is a classic and works so well with kids and sports teams.